Exit tickets are an effective way to gather end-of-class feedback, giving students an opportunity to demonstrate what they've learned and for you to be sure that all teaching objectives were met. They can be used to adjust homework assignments or clear up misconceptions. Click on Launch, then click Exit Ticket. 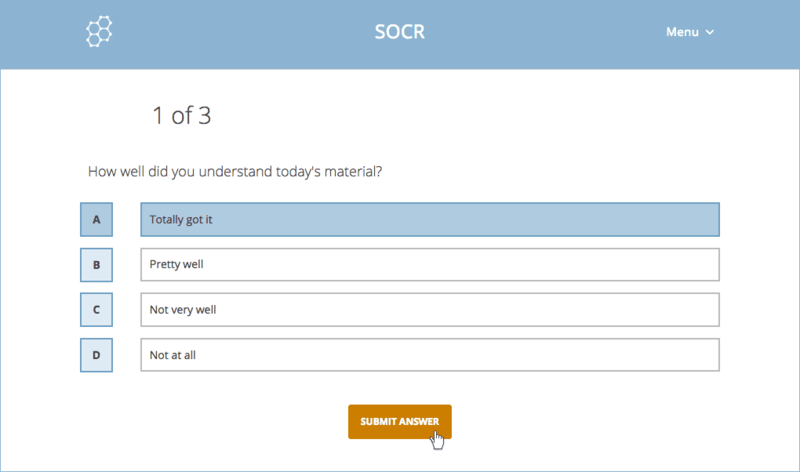 How well did you understand today's material? What did you learn in today's class? Please answer the teacher’s question. 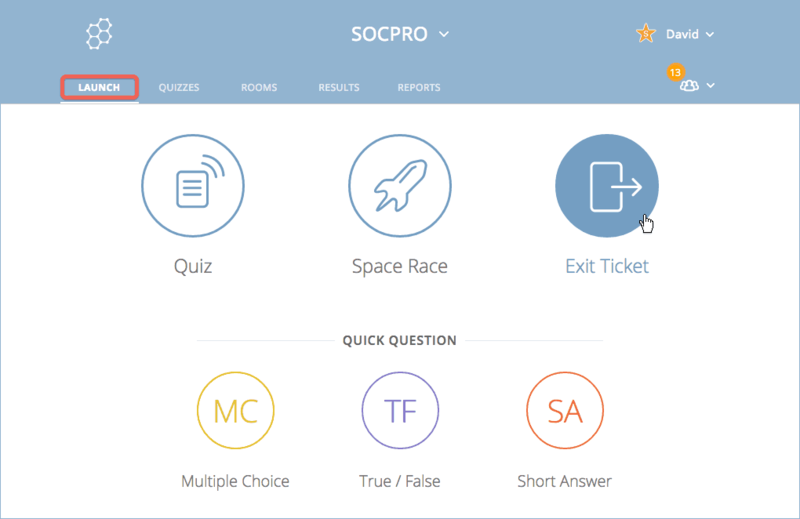 As your students click Submit Answer, Live Results are updated on your screen in real time. 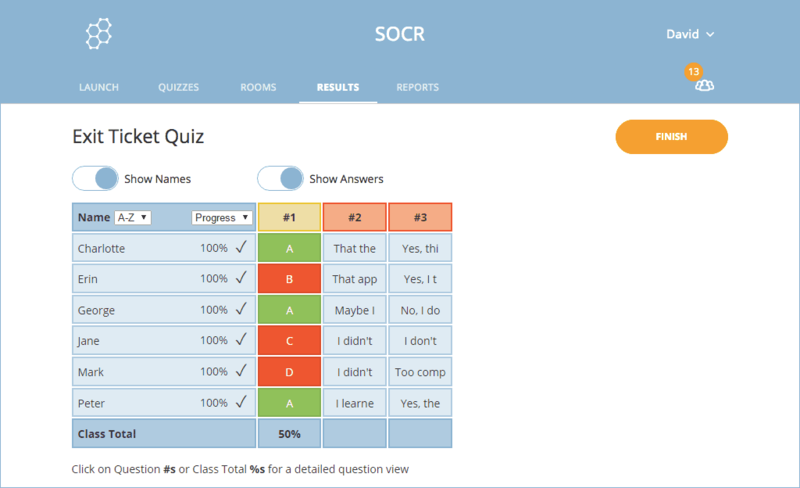 Once all your students are done responding, click Finish. 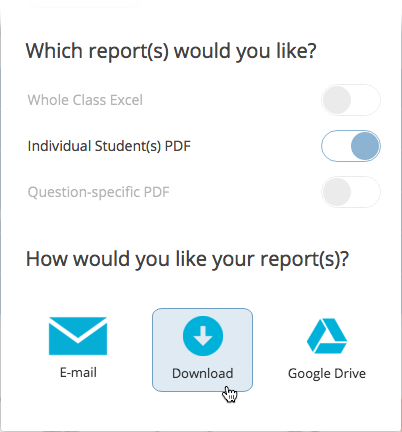 As you finish, you will be asked if you would like to Get Reports for the exit ticket, click View Chart to see student results in a Live Results format, or return To Launch. Your students will now see the Waiting for Teacher window; students can then Log Out.